The Powerheart AED G3 is our flagship, feature-rich AED offering. The innovative Powerheart AED G3 presents our new customer-friendly features such as more instructive voice prompts, improved voice quality, new lighter weight, redesigned form factor, and the industry’s first four-year, full replacement battery. Cardiac Science has the cutting-edge AED advantage. Industry leading technology and added performance features leads the way for the next generation of Cardiac Science AEDs. More instructive voice prompts guide user through rescue. Lighter weight in a new user-friendly form factor. 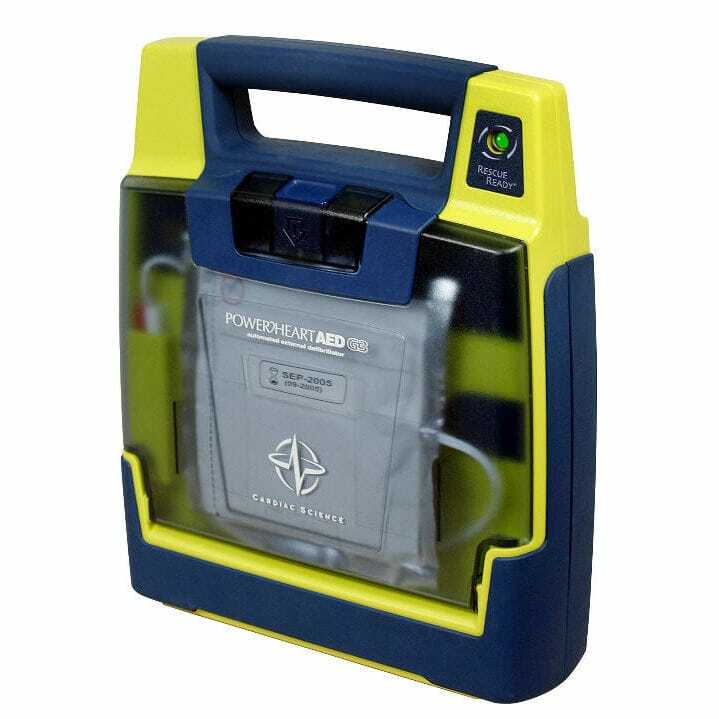 The Powerheart AED G3 continues to feature our industry leading one-button operation and RescueReady technology featuring our patented daily, weekly, and monthly self-tests, virtually assuring first time, every time rescue performance. The Powerheart AED G3 is the only AED on the market that automatically self tests all three critical AED components daily including: the pre-connected electrodes (presence and function), IntelliSense® lithium battery, and internal computer system. The G3 now includes a partial energy test with the weekly self-test, and a full energy charge cycle with the monthly self-test. The new Powerheart AED G3 also incorporates the Company’s patented RHYTHMx® analysis software and STAR® biphasic defibrillation energy waveform.